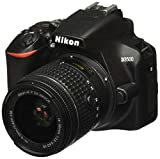 These best-selling cameras are updated daily and based on the sales ranks of Amazon.com. The current crop of best-selling DSLR cameras is an interesting mix of entry-level and semi-professional bodies. But if you look at the list of cameras, pragmatically, and plot the cameras on a chart, you will find that the chart is skewed more towards the entry-level segment of the market. Clearly, across the two big names in the digital camera industry, it is the smaller, cheaper and less feature-rich cameras that rule the best selling list. Thus, cameras like the EOS Rebel T6 (EOS 1300D), EOS Rebel T5 (EOS 1200D) and the Nikon D3300 continuous to enjoy a dedicated fan following. As noted above there is a feeble presence of full-frame and “more expensive” systems. But the surprising thing is the presence of the newly launched Canon EOS 5D Mark IV and the wonderful Nikon D750 on the best selling list. These two cameras have already garnered a sizeable fan following of their own. 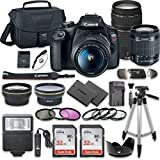 To see more best-selling DSLR cameras visit the Amazon.com Best Seller Page. The Price Range for DSLRs is huge. Let’s find out what’s the difference between $400 and $3,000+ DSLR. This is probably the most obvious question that comes to mind when flipping through a catalog or taking a guard of honor of the cameras displayed at a shop window. The thing is budget is a major constraint. But let’s put that aside for a while. Let’s instead concentrate on some other aspects of the buying process. We will return to this question at the end of the discussion. Do I Need A Full-Frame Camera Or A Crop Camera? A DSLR camera is built around the digital sensor. It is the heart and the soul of the digital camera. Light entering through the lens reaches the sensor and is converted into digital signals using digital wizardry. If it were not for the discovery of the digital sensor, photography would have remained an exclusive domain, pursued by either the most passionate or the most persistent. Therefore, if you are a photography enthusiast, and there is a discussion about the photographic sensor, listen up. Currently, there are two sensor sizes that dominate the DSLR camera segment. These are the full-frame and the APS-C.
the third one is micro four-thirds. We shall discuss them in the article covering the best selling mirrorless cameras. The abbreviation APS-C stands for Advanced Photo System type C. They mimic the film size of the similar name that dominated film photography years ago. Full-frame, on the other hand, refers to the sensor size that is equivalent to the 35mm format film that was the king of all photographic media for the best part of the 20th century. That is until the digital sensor finally toppled it. You’d be surprised to know that 35mm or the full-frame sensor isn’t the biggest sensor, around. There are even bigger sizes. The 35mm film, which this sensor size mimics, was the smallest film size around. 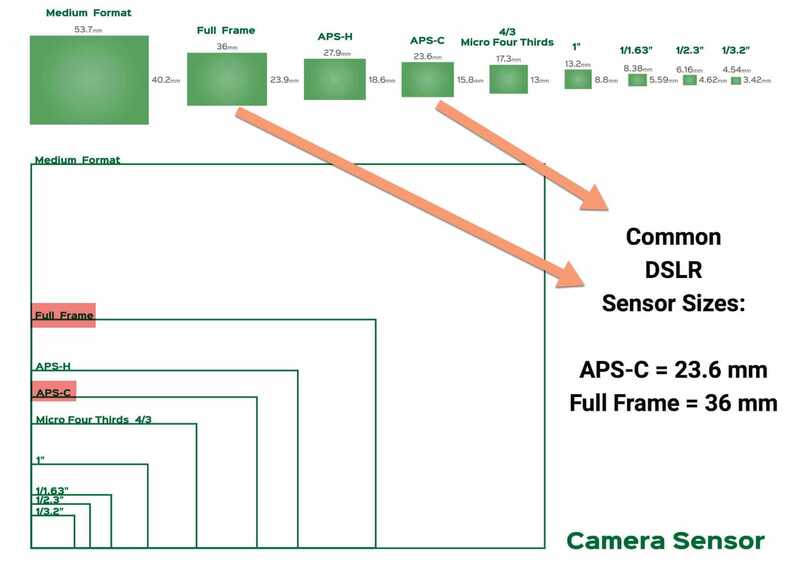 The Most Common DSLR Sensor Sizes: Full Frame and APS-C Sensors. The Sensor Size – Why That Matters? As I mentioned above, the sensor does the major work in the whole process of making an image. The reason for this is the ability of the sensor in collecting light. Larger the size of the sensor more is its capacity to collect light. How? Sensor surfaces are covered with tiny light-sensitive photo-diodes. When light is refracted by the lens on to the sensor, it is absorbed by these tiny light-sensitive pixels. These pixels capture the photons in light. When the sensor size is large, there is more room to pack in extra pixels. Any digital image is composed of pixels. When you see an image on your computer screen, it is a representation of the information that has been collected by the pixels on the sensor and later processed. More the number of pixels, more detailed is that information. In other words, if the number of pixels is more the image has more detail in it. Or as we commonly say it is a high-resolution image. But apart from the large number of pixels, which helps in the resolution department, there is yet another advantage, and that is the ability to shoot excellent images in low light. As I had mentioned above, a large sensor can collect a lot of light (thanks to the higher number of pixels). In low light conditions that comes in very handy. In low light conditions, the usual tendency is to push the ISO number. But you have to keep in mind that ISO does not help in getting additional light. Therefore it does not help in the process of exposure. What it does is it amplifies the light signals. With a good quality camera, doubling the sensor sensitivity from 100 to 200 or from 200 to 400 bits of help. In low light, it helps to get a proper exposure without having to slow down the shutter speed. While we are talking about sensor sizes, we need to understand one more aspect, and that is the field of view corresponding to the sensor size of the cameras. Let’s say that you have a 100mm f/1.8 lens and you mount that on a 35mm camera. You take a few shots. Then unmount the lens and mount it on an APS-C camera. Again you take a few test shots. While you do that you don’t change anything, the subject, the subject to camera distance, the exposure, absolutely nothing; except the camera. Did you notice any difference between the two images? With the lens mounted on the full-frame camera, the image appears to incorporate a larger chunk of the view than the one on the APS-C camera. Did the focal length change? Did it zoom? No, it didn’t. What changed was that the APS-C camera with its smaller sensor utilized only a portion of the image coming through the lens. That made it appear as if the lens was zoomed in. So, a smaller sensor does appear to have an advantage over a larger one. It ‘extends’ the focal length. Marketers make a field day trying to showcase this as an actual advantage. A small sensor, on a cheap camera that gives an extended focal length to a lens, sounds like a bargain. You can use a telelens designed for a full-frame camera on an APS-C camera and the (effective) focal length gets extended by a factor of 1.5x (on Nikon systems) or 1.6x (on Canon systems). But keep in mind that technically that is not what happens. I mean, the focal length does not change just because you mount the lens on a smaller sensor. Focal length remains the same regardless of the camera system. Focal length is the distance from the optical center of the lens to the sensor when the lens is focused at infinity. It remains fixed. But just because the edges of the frame are cropped, it appears that the focal length has been extended. However, you may not want to have the crop effect if you are shooting lots of landscape photos. In this case, a full frame DSLR may be better. Camera manufacturers put a lot of emphasis on megapixel. It has become the benchmark for best-selling DSLR cameras. As if megapixel is everything there is to photography. I am not saying megapixel doesn’t matter. They do. But only to a certain extent. But if the sensor size remains fixed, increasing the megapixel does more harm than good. How? Let’s find out. Let’s start from the very beginning. Megapixel means one million pixels. You already know what a pixel is. These are the tiny light-sensitive photodiodes that make up the surface of the sensor. To view an image on a full HD screen (1920 x 1080), you need just a tag more than 2 megapixels. To print a 4″ x 6″ image at 300 dots resolution you need about (4 x 300 x 6 x 300 /10,00,000) 2.2 megapixel as well. But, anything more than 4″ x 6″ or if you try to view the image on a large 4K screen, the image will appear blurry. So, for a 4K / UHD display you need a minimum megapixel of 3840 x 2160 / 10,00,000 = 8.3 megapixel. Related Content: What is a Megapixel? As you increase the number of megapixels, the image will become more detailed. In photography parlance, we call that higher resolution. A 16-megapixel camera shooting the same scene and a 24-megapixel camera shooting the same scene is going to have some amount of difference no doubt. The other important advantage is that with a high-resolution sensor, you can crop a portion of the image and yet get a detailed image or print without any blur. Let’s say that you have a 36-megapixel full-frame camera. You shoot a landscape scene and then decided to crop out half the image to make a tight print of a house in the middle of the frame. With your 36 megapixel camera, this will be easily possible. So, the advantage does seem to be centered on whether you are going to print your images. If you would print more frequently and in larger than usual size, then more megapixel is definitely what you need. Otherwise megapixel is not your priority. These days even an entry level camera shoots at around 24 megapixels. So, it is not much of a worry anyway. Having said that, if you continue to increase the megapixel, your images will suffer in low light conditions. This happens because as you keep cramming in more and more pixels, the individual pixels become smaller. With the smaller size of the pixels, their light capturing capability is affected. In bright lighting situations, you wouldn’t be able to notice any problem. But in low light situations, your images will suffer from noise. Another advantage of a high-resolution camera is in the area of stock photography. Microstock websites have increased their minimum resolution requirement. You would routinely be asked to submit at a higher resolution. These images are downloaded and used by various marketing agencies and they need the best resolution to run a print advertisement or a billboard ad and or other high-resolution requirements. Most entry-level and some mid-range DSLRs come paired with a lens. It is referred to as a ‘kit’ lens. This pairing of a lens allows you to start using your camera straight away. The ‘kit’ lens is actually a very versatile lens. 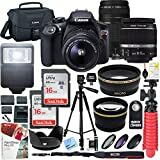 It usually is a mid-range zoom, like an 18-55mm or an 18-105mm that covers the essential focal length that you need for shooting everyday photos. If you are not sure about which lens to buy or you are the beginner with very little idea about the right lens or are unsure about the genres of photography that you would be looking to work on, try the 18-55mm or the 18 – 140mm lens. The first one is a great lens for everyday photography. The second one has an extended focal length reach and is the best for shooting everything that the 18-55mm can and with it portraits. 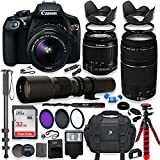 Having said that there is no rule that you have to buy a best selling DSLR camera and be content with the kit lens that it comes with. 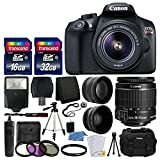 You can simply buy a camera body (e.g., like the Canon 80D body in the DSLR best seller list ) of your choice and then add your own lens to the body. However, this is recommended only for those photographers who know exactly what they want. Anybody buying one of the best selling pro DSLR bodies would be expected to follow this route. Believe it or not, what you intend to shoot can influence your buying decision. As a beginner when I was scouting for my first DSLR, I was asked by a store clerk the exact same question. I replied, a little bit of everything. That is true with a majority of beginner photographers. They don’t yet know what excites them in particular. Everything excites them! Before buying a bestseller DSLR, ask yourself: What type of photography inspires you? The same cannot be said about a photographer who has had the experience of shooting for some time. S/he may already have figured out what excites him/her more. S/he may have a definite need in mind when looking for a new camera. If you are that photographer who is a beginner and have a limited budget, go for an entry level body like the D3400 or the EOS Rebel T6i and opt for a good quality standard zoom lens. The kit lens would be fine. On the other hand, if you have something specific in mind decide accordingly. For example, let’s say you want to shoot great low light photos. Now, this is an extremely challenging situation to shoot in. Your camera needs to have a very low noise signature and should ideally be ISO invariant. Although ISO invariant cameras can cost a lot, you can go for the next best thing – cameras that have a low noise signature. Go for something like the Nikon D7200, or the Canon 7D Mark II. If you are interested in shooting wildlife or sports, you need a combination of low ISO performance and fast burst speed. You also need a quiet shooting mode that’s actually quiet. The D7500 gives a decent burst speed of 8 frames per second for a maximum of 100 frames making it one of the best APS-C cameras to shoot wildlife and sports. The 7D Mark II is also a great option. It shoots at a frame rate of 10 fps in full resolution. The same as the Nikon D500. Back in the days of film, the turnaround time for your photos to come back to you was a minimum of 1 day. If you requested for the negatives to be returned along with a contact sheet, it took another day to get the final prints. With digital cameras that turnaround time had been minimized. As technology improved and social media came about, photographers were no longer content with just being able to see what they have shot. They wanted to show the whole world what they have shot and that too instantaneously. Thus, the need for built-in connectivity came about. Wireless connectivity came about first. It was followed by Bluetooth. 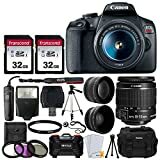 Most of the best selling DSLR cameras now come with built-in wireless and Bluetooth connectivity modules. This ensures that you can connect the camera to an available Wi-Fi network and transfer your images and videos to your computer. Pairing with a compatible Bluetooth enabled the device to ensure that you can control your camera using a smartphone or tablet. 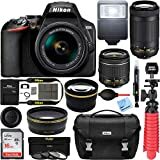 Nikon recently came about with the Nikon D500, its current flagship APS-C DSLR. This camera has what is known as the SnapBridge Bluetooth Low Energy (BLE) connectivity. This technology ensures a low power hogging option to keep your phone and your camera connected, transfer images in real time and control the camera remotely when needed. This is extremely handy when you are working on a photo assignment like shooting a sporting or musical event and need to send out your images to your editor as soon as they are shot. Additionally, the camera has NFC technology that ensures just a one-touch pairing with a compatible device. Certified Refurbishment – What are These and Should I Look into this Option? The certified refurbishment is a process where defective or malfunctioning equipment are repaired, cleaned and tested before repackaging and selling. These cameras may have major manufacturing defects or had been used as demonstration units or had other minor issues. It could be that the camera (or for that matter the lens or any other equipment) arrived at the store in a defective condition due to poor packaging and or poor handling. It could also be that a customer had returned the item because of any technical problems. Sometimes units are used for demonstration. That can leave a bit of wear and tear. Whatever may be the reason, these cameras are not new. They have been repaired and are now being sold at a lucrative discount. They also come with a limited warranty, making this an attractive proposition for photographers. Many photographers prefer to go this route to own great equipment when they cannot afford to pay for their original MSRP. Should you Opt for a Refurbished Camera? The simple reason you could look into refurbished items is the difference in price. You could easily get around 20% off on a slightly dated camera. Even more. If the product is new discounts would probably be less. If the difference is quite large, and the equipment had minor issues, then it is a win-win situation for you. But the thing is discounts are never quite linked to the amount of ‘damage’ that the equipment had. It is more about how much the equipment is in demand. The biggest drawback to buying a refurbished camera is you are never quite sure what the problem was with the equipment. It could be that the equipment was bruised because of poor packaging or handling. It could also be that the equipment had a serious manufacturing flaw. There is always a bit of good luck involved in buying refurbished products and walking away with a great product. So, which Best Selling DSLR Camera Should I go for? Let’s be honest. A shiny new camera seems like a fantastic addition to your collection. But to be honest, a camera isn’t going to make images on its own. You have still got to know how to use it. If you think that putting money on a piece of advanced technology is a great decision and believing that the technology is going to work on its own and make great images you are simply daydreaming. Investing in state of the art technology is a great idea. But only if you know how to work with that technology or know that it is going to give you benefits. If you are a beginner photographer, someone who doesn’t have much knowledge of the fundamentals of exposure, metering, and composition – any DSLR camera will do for you. A basic DSLR such as the D3400 with a kit lens will be more than enough for your need. 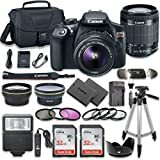 This 24-megapixel camera has a sharp sensor, 11 -point auto-focusing system is powered by a fast image processor, is a capable full HD video shooter and comes paired with a versatile kit lens. Therefore, you can use this camera to shoot great stills, as well as great videos in most situations. You can experiment with the various rules of composition, shoot different genres of photography and pretty much get going in your photography journey. 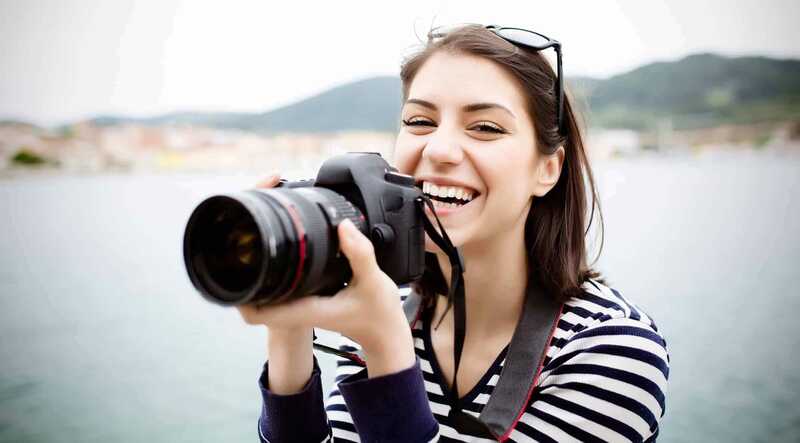 However, if you are an avid photographer, someone who have been shooting regularly but with a smartphone or a compact camera and only recently felt the urge to migrate to a DSLR, then an entry-level camera would not be ideal for you. Shooting with a smartphone or compact system camera means you are familiar with composition and exposure guidelines. You need a DSLR to take advantage of the manual options, use different lenses to change the field of view and take advantage of the bigger sensor to shoot better images in low light conditions. In this case, you need something in the mid-range. Something like a Canon EOS 80D or a Nikon D7500 or even a Nikon D500. Both these cameras come loaded with a host of shooting features, including a fast continuous shooting speed, better ISO sensitivity (and with it low light capability), larger number of AF points, better image processing, and wireless connectivity.